This Brooklyn Industrial Narrow Shelving Unit gives you plenty of space to display and store your various books and other items. 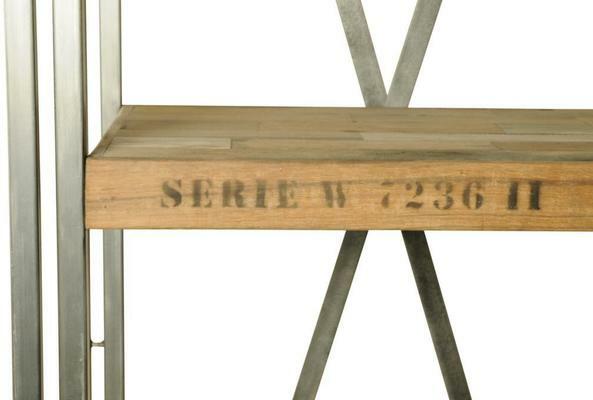 This tall shelf is designed using a combination of reclaimed boat timber with durable steel. Combining these two materials creates a unique urban vibe to the piece, making it ideal for loft or warehouse style apartments. Use this in your living room or as a shelving unit in your office, it's quite a beauty and works to keep your items organized as well. It comes with five shelves, so there's plenty of space for everything.